"sanctuaries and fortresses" is an evening-length disco ballet. The performance will be highlighting the impact of the disco-era as a time when the disco lifestyle and funky bass lines served as a sanctuary for otherwise marginalized people. Acknowledging disco culture's role in providing a safe place and refuge for ostracized people, "sanctuaries and fortresses" looks into the politics of sensuality, femininity, in its various forms, and the process of storytelling from the perspective of a diverse cast of women. Titled from a phrase from the Audre Lorde essay, “Poetry is not a Luxury”, "Sanctuaries and Fortresses" is a culmination of a year-long interest, using the communal practice of gathering for collective listening in modern culture. The performance is presented by "sunday morning at 7" (also a coined phrase from the Audre Lorde essay), a year-long project that includes educational tools to inspire young people to pursue careers in the theatrical arts. 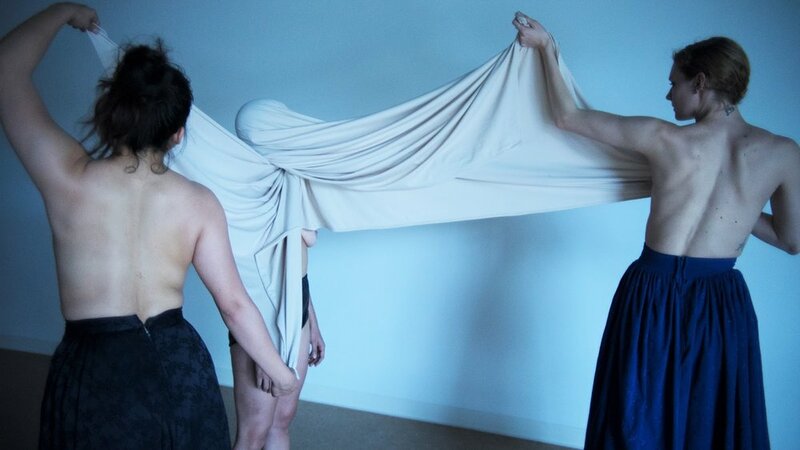 The project performances are live-streamed and later partnered with the striking images of a narrative dance film titled "Birth of Pleasure" by Lev Omelchenko, which will translate the live performance to the screen. "sanctuary and fortresses" is made up of hardworking curation and mostly Atlanta-based talent. Directed by Anicka Austin, the performance will be featuring live music by Sister Sai and Chris Gravely, dance performances of this installation by Ruchi Ahuja, Sharon Carelock, Indya Childs, Jennifer Cara Clark, Bella Dorado, Christina Kelly, Miriam Golomb, Rebekah Pleasant and Hez Stalcup, lighting Installation by Jane Foley, and make-up by PhaeMonae. "We aspire to bring dance to wider audiences by using the technology available (live-streaming and film) to make digital versions of our disco ballet sanctuaries and fortresses as vibrant as possible. We believe in the transformative power of collectively experiencing art and are determined to create accessible dance experiences that connect people to their inner voices and to each other." Says Austin. "sanctuaries and fortresses" will take place at The Bakery Atlanta, on May 17-19th, 8pm and May 20th, 7:30pm. The live-stream link will be available on March 16th at www.anickaaustin.com/sundaymorning.